You Are Here: Home > Why Choose the Authorized Chevy Service Center? Do you need quality auto service for your Chevy car, truck, or SUV, but aren’t sure where to go? Skip the chain shops and get your vehicle serviced at the Mike Anderson Chevrolet of Merrillville authorized service center. We offer reliable and more than satisfactory auto service to all of our customers, whether you need a tire rotation or a more intricate repair. 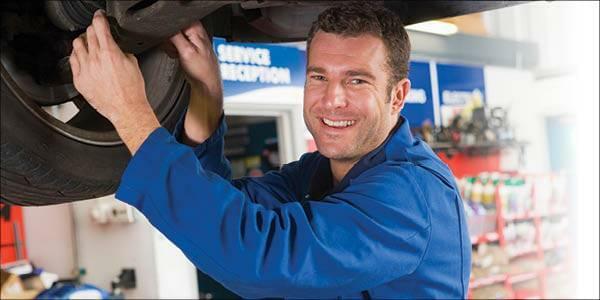 When it comes time for routine maintenance or a major repair, you’ll want only the most trained auto technicians working on your vehicle. At the authorized Chevy service center, you’ll receive the best auto work possible because our team is comprised of entirely GM-certified technicians. This means that our technicians are specially trained to know your Chevy inside and out. Rest easy knowing your vehicle will be in good hands at the authorized service center at our Chevy dealership in Merrillville, IN. Not only are our auto technicians certified, but the replacement parts we install in your vehicle are as well. Mike Anderson Chevrolet of Merrillville only uses genuine OEM parts in every maintenance and repair service to keep your vehicle running like new. If you need authorized service from our Chevy dealership in Merrillville, IN, then schedule an appointment at your earliest convenience. Mike Anderson Chevrolet of Merrillville is located at 1550 East 61st Ave. Give us a call at (219) 947-4151 for more information or directions.